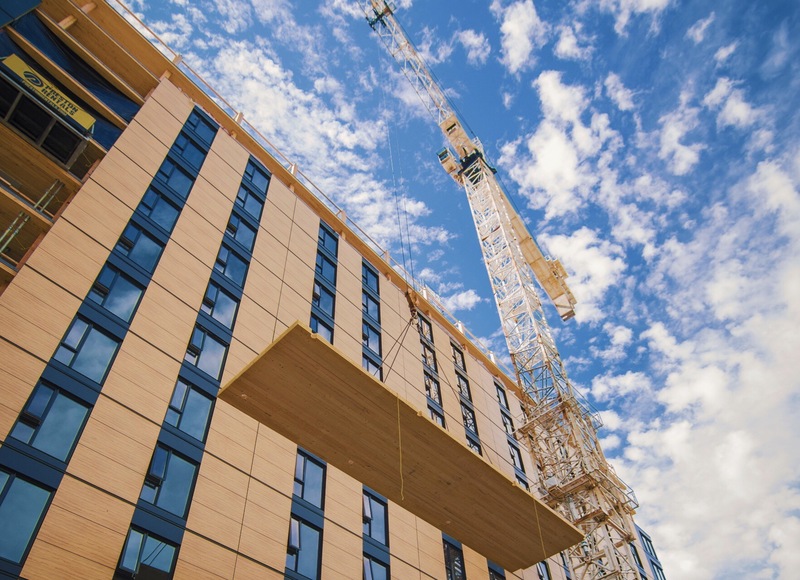 Thanks to a recent addendum to Oregon’s building code, the state is the first in the country to allow timber buildings to rise higher than six stories without special consideration. Portland has become something of a hotbed for timber innovation as of late. 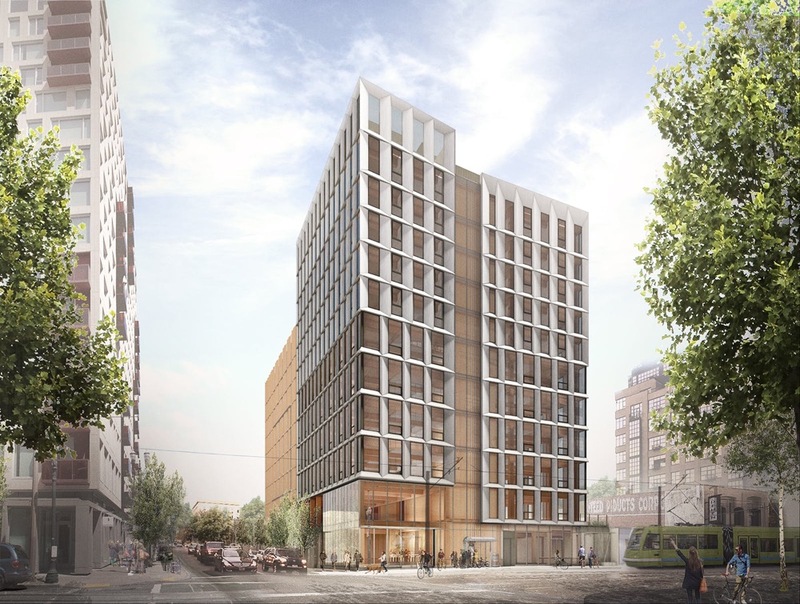 Carbon12, PATH Architecture’s eight-story glulam and cross-laminated timber (CLT) tower with a steel core, recently became the country’s tallest timber building and was set to be surpassed by LEVER Architecture’s 12-story Framework. Alas, that project was put on hold due to mounting financial difficulties last month, but it seems the precedent that the project achieved in securing a building permit from the State of Oregon and City of Portland will live on. The timber allowance comes courtesy of Oregon’s statewide alternate method (SAM), a state-specific program that allows for alternate building techniques to be used after an advisory council has approved the “technical and scientific facts of the proposed alternate method.” The allowance comes after the International Code Council (ICC)–the nonprofit group that Oregon models its building codes after–established the ICC Ad Hoc Committee on Tall Wood Buildings in 2015 to explore the benefits and challenges of using timber in tall buildings. A Committee Action Hearing was held in April of this year, where the Ad Hoc Committee, made up of code experts, stakeholders, and industry members presented their findings. All 14 of the committee’s suggestions were adopted, introducing standards and best practices for fireproofing, the load-bearing potential of CLT and heavy timber, water resistance, sealing, seismic ratings, and more. Three new building classifications were introduced as a result: Type IV A, timber buildings permitted up to 18 stories and 270 feet tall, Type IV B, timber buildings with a maximum height of 12 stories and 180 feet, and Type IV C, which is permitted to rise nine stories and 85 feet tall at maximum. The shortest of the timber typologies is allowed to use exposed structural timber as an interior finish, whereas the tallest, type A, must enclose all exposed surfaces and include a three-hour fire-resistance rating for the structural elements.